The American Institute of Aeronautics and Astronautics (AIAA) promoted Department of Aerospace Engineering Professor Alison Flatau to AIAA Fellow. This is one of the highest honors achievable by a professional member of the AIAA, and is reserved for the top 1% of AIAA members each year. AIAA recognized Flatau for her many years of service to AIAA and to AIAA student chapters. In addition, she has made numerous contributions in teaching, mentorship, research, innovation and commercialization of aerospace science and technology, especially in the areas of magnetostrictive sensors and actuators, and their applications to aerospace. Flatau currently serves as the Associate Dean for Research at the Clark School of Engineering, and her research focus is in the areas of magnetostrictive materials and transduction, nanotechnology sensors, synthetic jet actuators, active flow control, biosensors and bioactuation. 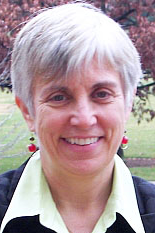 AIAA named her an Associate Fellow in 2009. In addition, American Society of Mechanical Engineers (ASME) named her Fellow in 2006 and she received The International Society for Optics and Photonics (SPIE) Smart Structures and Materials Lifetime Achievement Award in 2010. This year, AIAA recognized only 22 members as Fellows.